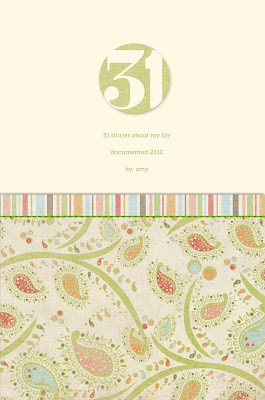 I had read about this online workshop through Big Picture Scarapbooking taught by Ali Edwards called 31 things. 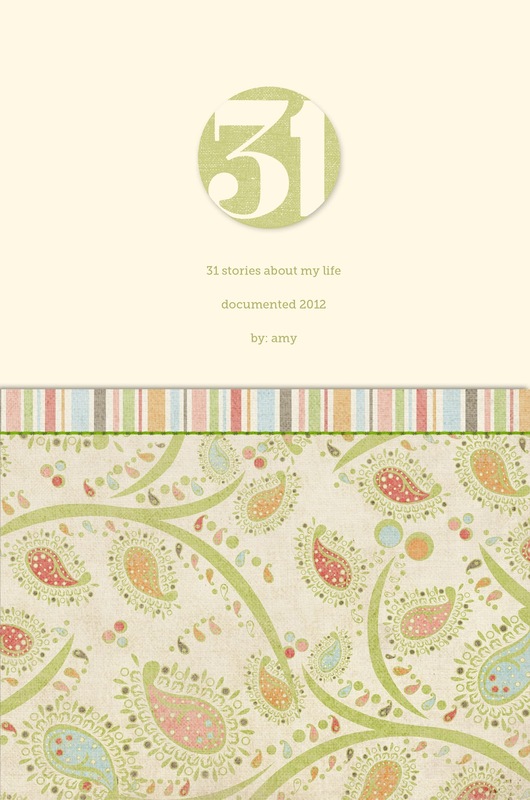 The description said, "31 Things is about capturing life right now but will be much more in-depth on a single daily subject." I thought, "hmmm that sounds interesting but I don't have time". Then it kept gnawing at me, so I signed up the day before the workshop started. Heck, if I can document every day in the month of December I can write everyday during the spring. Everyday I will receive an email that prompts me to document one story from my everyday life. The class materials allow you to make a 12x12" album, but I decided to go smaller with a 6x9" photo book from Blurb. I want to keep the 12x12 photo book size for the big family vacations, and other big special events. The 6x9" feels more personal and intimate to me which is what these stories are all about. I've decided to share my stories and pages here on my blog for a few reasons. One, my family & friends will probably be interested in my stories since I'm guessing they'll be mentioned in quite a few of them. And two, some of you may be inspired to join the class and/or take on a similar type of project for yourself. There may be a few stories that I decide to keep personal, but I'm not sure yet until they are actually written. Here's my title page... the first story is coming your way tomorrow.